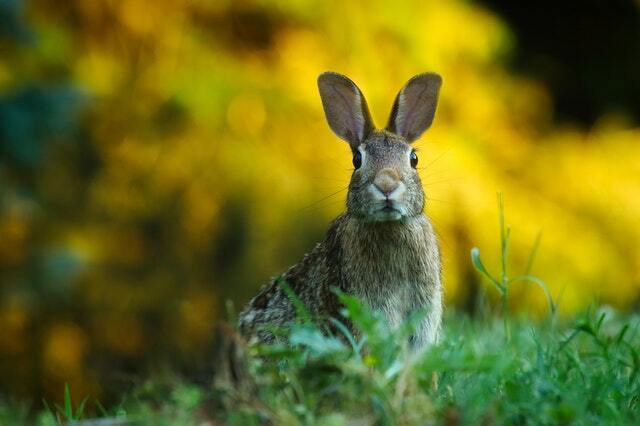 In a new study, researchers found that rabbits like to eat plants with lots of DNA. On the contrary, snails and insects prefer to eat plants with much less DNA. The research was conducted by researchers from Queen Mary University of London and Royal Botanic Gardens, Kew. Plant genome sizes can vary hugely. For example, the largest can be 2,400 times bigger than the smallest. Previous studies have shown that many things can influence animals preference of eating plants, but it is unknown how a plant’s genome size could influence the behavior. In the current study, the team examined what plants rabbits, snakes, and insects like to eat in grassland west of London. They found rabbits favored plant species with large genomes while snakes and insects liked plant species with small genomes. The researchers explain that rabbits like plants with much DNA may be because these plants are more nutritious. Plants with a large genome have a rich package of proteins and nucleic acids. Snakes and insects like plants with a small genome size may be because there are more such plants available to them. The findings suggest that genome size, or the amount of DNA, could be used as a new measure to improve ecological models. The models can help predict how ecological change will influence plant growth. The lead author of the study is Professor Andrew Leitch from the Queen Mary University of London.